We are committed to providing high-quality professional development to ensure you receive the best education to support you in your teaching career. To build awareness of their social, emotional and physical health and wellbeing, equipping them with skills to take an active role in shaping a positive and shared future. The Active Mindset Masterclass will contribute 4 hours of NESA Registered PD addressing 1.1.3, 1.2.3, 4.4.3 and 5.2.3 from the Australian Professional Standards for Teachers towards maintaining Highly Accomplished Teacher Accreditation in NSW. The Empathy Mindset Masterclass will contribute 4 hours of NESA Registered PD addressing 1.1.3, 1.2.3, 4.4.3 and 5.2.3 from the Australian Professional Standards for Teachers towards maintaining Highly Accomplished Teacher Accreditation in NSW. The Mindfulness Masterclass will contribute 4 hours of NESA Registered PD addressing 1.1.3, 1.2.3, 4.4.3 and 5.2.3 from the Australian Professional Standards for Teachers towards maintaining Highly Accomplished Teacher Accreditation in NSW. The Resilience Mindset Masterclass will contribute 4 hours of NESA Registered PD addressing 1.1.3, 1.2.3, 4.4.3 and 5.2.3 from the Australian Professional Standards for Teachers towards maintaining Highly Accomplished Teacher Accreditation in NSW. The Self-awareness Masterclass will contribute 4 hours of NESA Registered PD addressing 1.1.3, 1.2.3, 4.4.3 and 5.2.3 from the Australian Professional Standards for Teachers towards maintaining Highly Accomplished Teacher Accreditation in NSW. 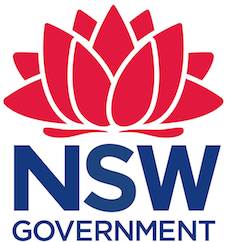 The Self-regulation Masterclass will contribute 4 hours of NESA Registered PD addressing 1.1.3, 1.2.3, 4.4.3 and 5.2.3 from the Australian Professional Standards for Teachers towards maintaining Highly Accomplished Teacher Accreditation in NSW.